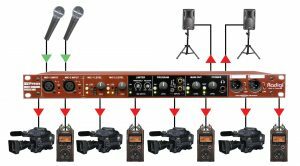 The mPress is a modular & expandable press box that distributes audio to multiple destinations simultaneously, with two on-board microphone preamps and additional controls that eliminate the need for a separate mixer when feeding both a PA and a press gallery. The mPress provides full control over any size of press gathering, from community gatherings to international events, and its modular design means it can grow to suit your needs. 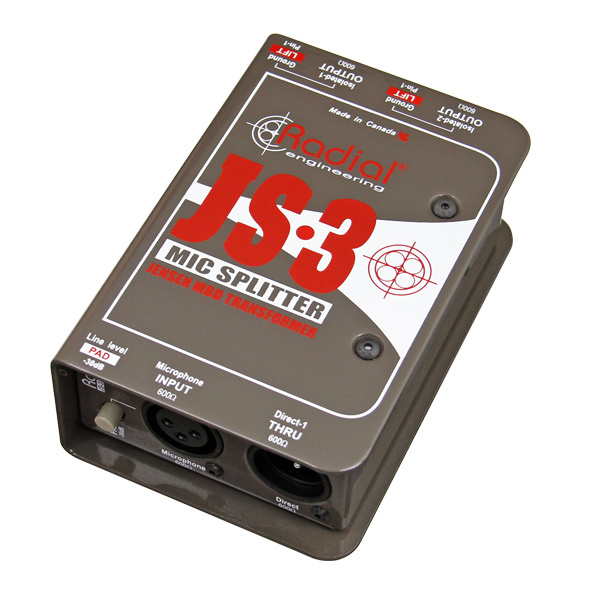 It features two balanced mic or line inputs with low-noise preamps and high-pass filters, along with a shared limiter to avoid clipping the inputs of any connected recording devices. Separate outputs are provided for a set of powered speakers, with dedicated program inputs that allow you to play background music through the PA when on standby, and a headphone output to silently monitor and cue up playback tracks. 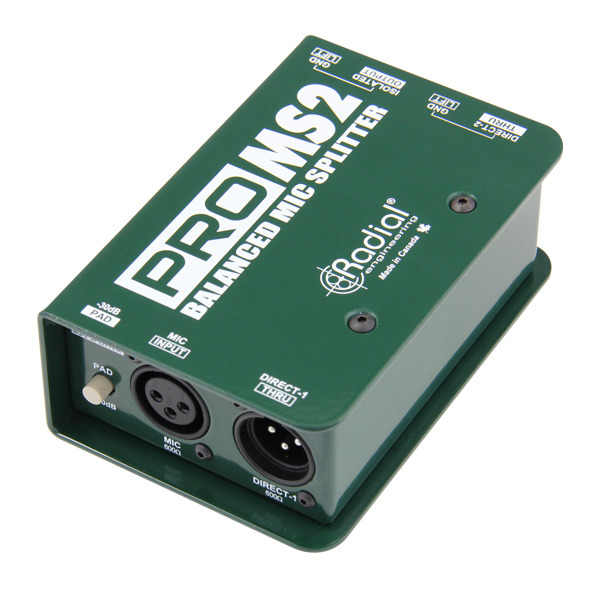 The main outputs are controlled separately from the press gallery signals, so you can make adjustments on the fly without affecting previously calibrated recording devices. 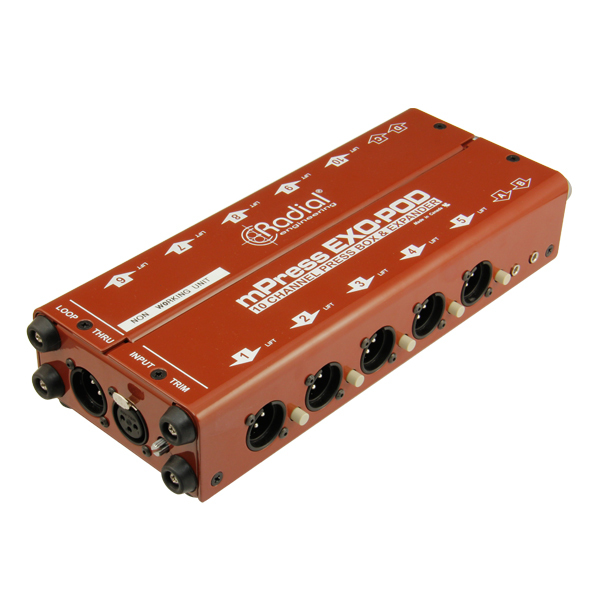 For events where more than eight press outputs are required, the mPress can be used in conjunction with a number of Exo-Pod portable splitters to quickly increase the available channel count. 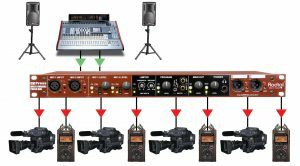 The mPress modular approach replaces the mess of cables that hampers typical press box setups, and instead creates an orderly system that enables you to create zones for various groups within the venue. From each of the mPress XLR outputs as many as four Exo-Pods may be chained together, for a total of 320 microphone or line level outputs and 128 recorder outputs. A built-in 1kHz test tone provides everyone with a reference level and a headphone amplifier on the front of the mPress helps when troubleshooting. 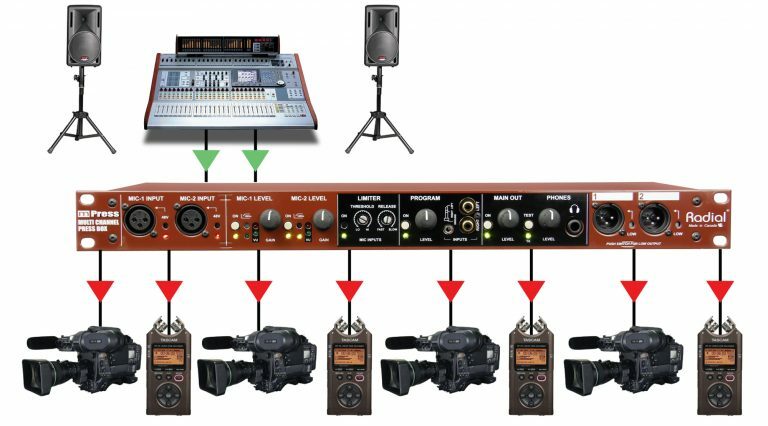 In this setup, you are using the eight balanced outputs on the mPress to feed the press gallery without using the Exo-Pods. Set the outputs to low and connect using standard mic cables. Connect as many as eight Exo-Pods to the mPress to create eight separate zones – each with 14 outputs for a total of 112 press feeds. 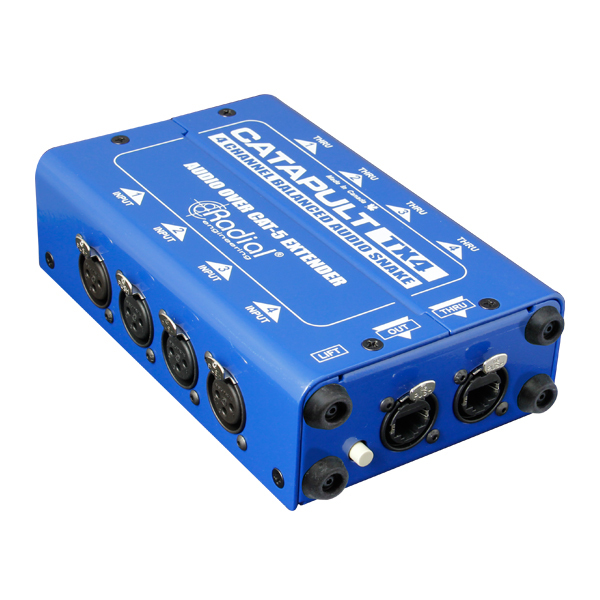 All of the outputs are isolated to eliminate noise! Daisy-chain one Exo-Pod into the next to expand the system while reducing cable mess. Setting the mPress outputs to high enables almost unlimited press feeds! 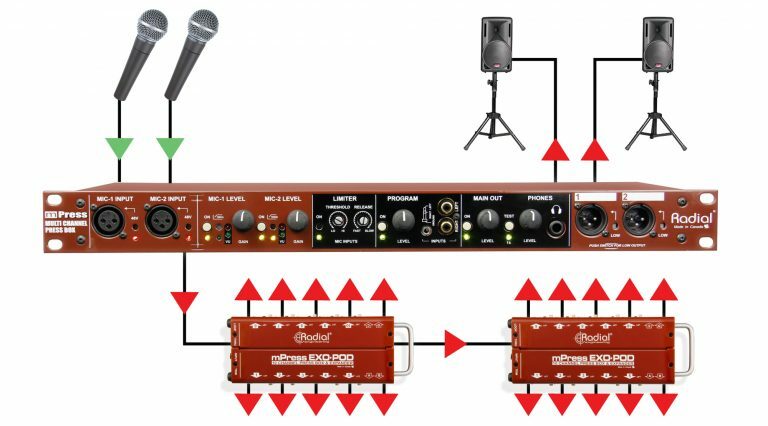 You can connect the outputs of a console to the balanced line level inputs on the mPress, integrating it with your existing PA system. 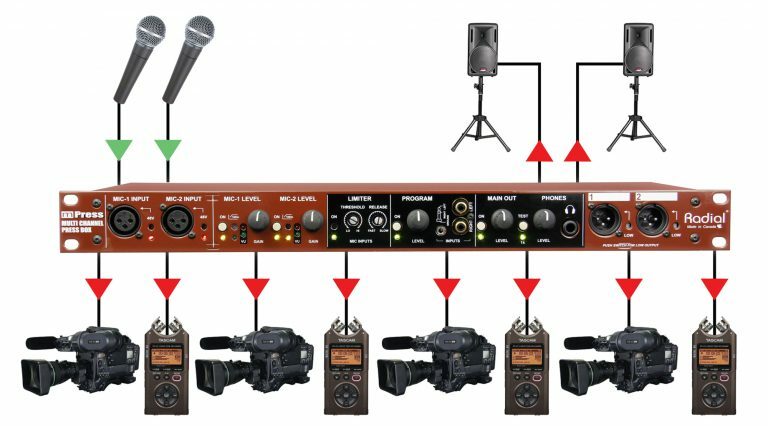 Simply depress the recessed switch on the rear XLR inputs to allow you to connect line level signals and distribute them to the press gallery outputs.